Arie Smit, born 1916, is an Indonesian citizen from the Netherlands. In 1938, Arie Smit came to Indonesia on a military contract, designated to the Topographical Service. He was then transferred to the infantry in East Java in 1942 where he was captured by the Japanese army. He spent the next three and a half years in forced labour camps across Singapore, Burma and Thailand. In 1945 he was released and returned to the New Republic of Indonesia. 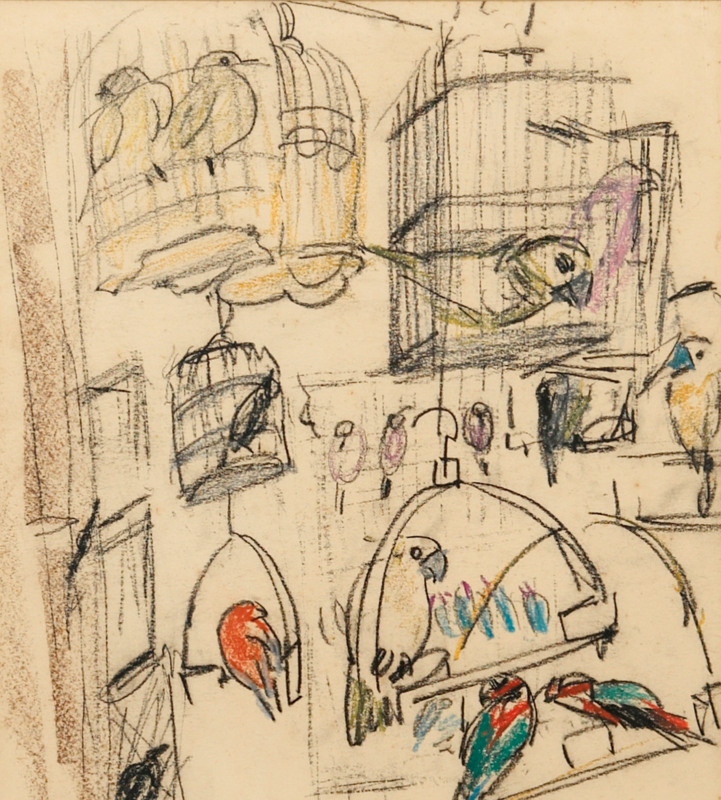 Provenance: The Arts Council of Malaya at Raffles Museum first exhibited "Bird Cages" in October 1953. It still has its original white wooden frame as well as the 1953 exhibition sticker. Born in 1906, Guandong (China), Chen Wen Hsi (1906-1991) was an artist, an academician and a gallerist. Born in Guandong, China, he studied art at the Shanghai College of Art in 1928. 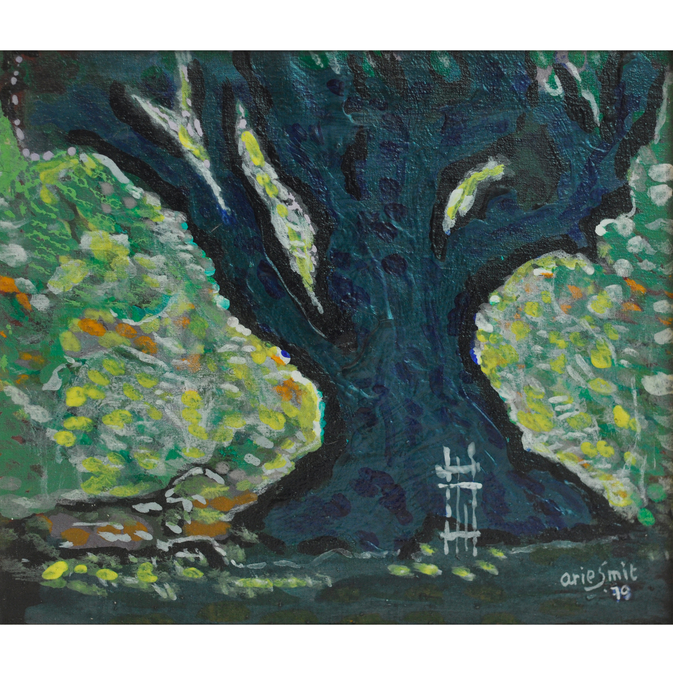 Wen Hsi settled down in Singapore at 1948 and taught art at The Chinese High School from 1949 to 1968, and was concurrently a lecturer at the Nanyang Academy of Fine Arts from 1951 to 1959. As a passionate art educator he had greatly influenced many of Singapore’s early Chinese artists. 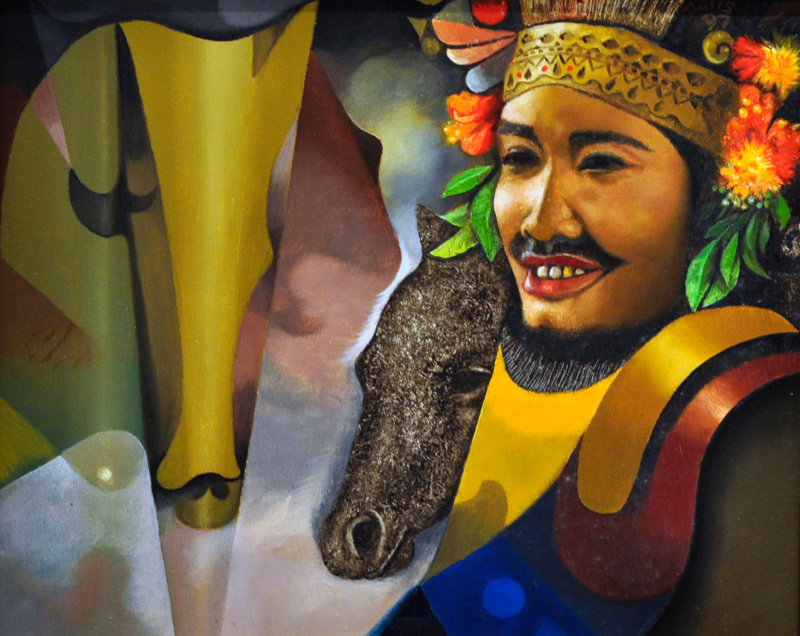 Sudarisman (b.1948) graduated from the Academie of Art in Yogyakarta. He studied at the Academie voor Beeldende Kunsten Psycopolis, Den Haag, The Netherlands on a scholarship from the Dutch Ministry of Culture and Recreation for studying the technique of “Renaissance Paintings and Modern Art”.